Last semester I had a wonderful opportunity. 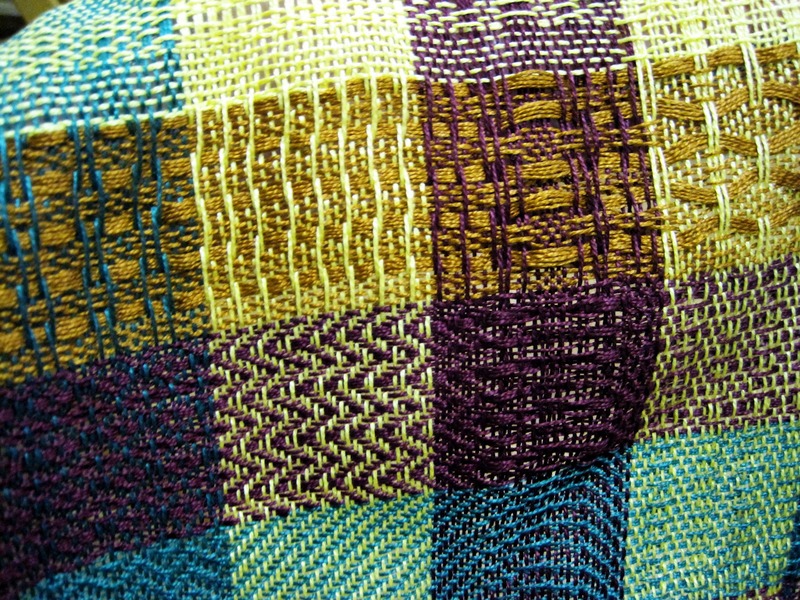 My school has a fibers program, and as one of my three dimensional art requirements I was able to take a weaving class. It was AMAZING. 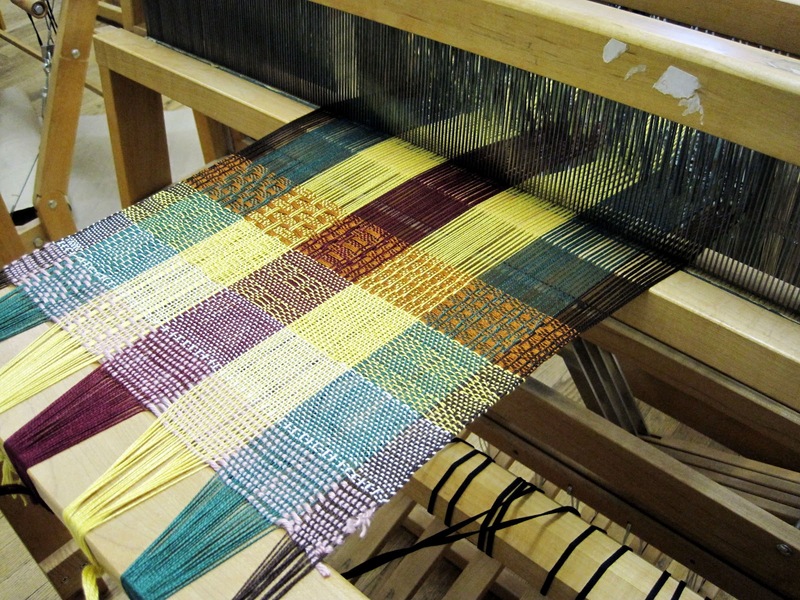 We learned how to weave using a 4-shaft loom, both a table top version and this much easier to use floor version. This is my second project, still in progress. The pink yarn on the front doesn't stay, it's just to close the gaps created when it's tied onto the loom. 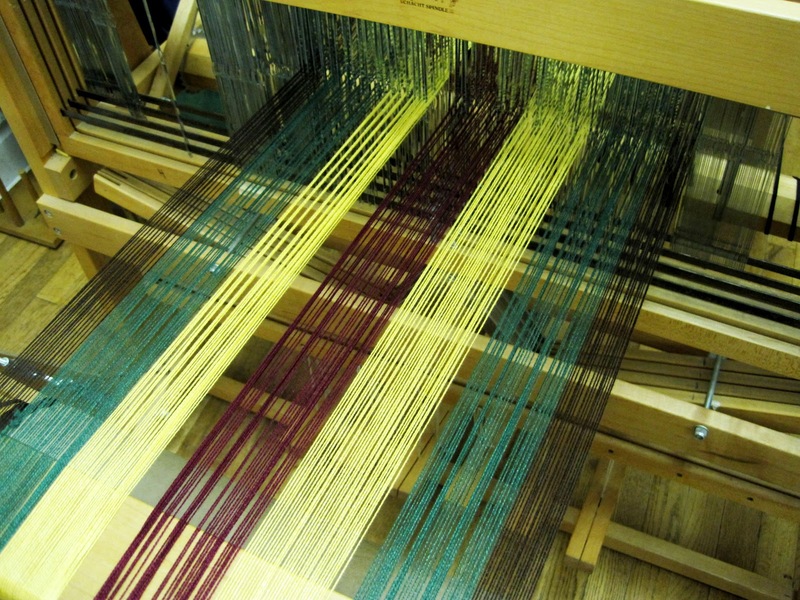 This is my warp and a picture of the back of the loom. All those little metal things the threads are going through are called heddles. In a four shaft loom, there are four rows of heddles, which can be raised in different combinations to give different patterns. It takes about 100 years to thread each string through those things. I promise. And this is my final project! Once the warp is on the loom, actually weaving the piece only takes a few hours, especially with the floor loom, which has foot peddles. 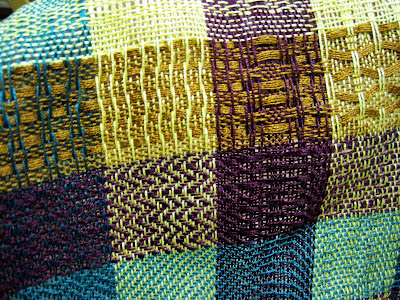 This was a sampler, playing with the different patterns that can be made on the loom. It is currently being used as an amazing table runner in my living room. This class has definitely inspired me to continue weaving. Once you get past threading the loom, it's very therapeutic. What do you think?